John Dougall's father was Robert Dougall (born Glasgow 1840) who was a watch and clock maker as well as the local postmaster. His mother was Jane Shirra (born 1850). His parents married in Stirling on 16 October 1864. John Dougall had eight younger siblings: Charles Dougall (born 1868), Annie (born 1870), Jessie (born 1873), Robert (born 1874), Mary (born 1876), James (born 1878), Elizabeth (born 1880) and Norma (born 1899). John Dougall was brought up in Kippen, Stirlingshire. He attended Kippen School, leaving at the age of thirteen in 1880, and taking up a job as a Post Office worker in Stirling. After working for a year, he entered Glasgow University in 1881, still only fourteen years of age. He graduated from Glasgow with an M.A. in 1886. After graduating, Dougall worked as a Lecturer in Mathematics at the Glasgow and West of Scotland Technical College, Glasgow. He then tutored mathematics in a tutorial college in Glasgow before taking up the employment that he would retain for the rest of his career: namely Publisher's Reader at Blackie & Sons, Glasgow. He was in charge of the mathematical publications of the well-known Glasgow publishers. Dougall was an excellent research mathematician publishing articles on both pure and applied mathematics in the Proceedings of the Edinburgh Mathematical Society and the Transactions of the Royal Society of Edinburgh. The Royal Society of Edinburgh awarded him their Makdougall-Brisbane Prize 1902-4. 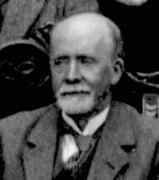 He joined the Edinburgh Mathematical Society in April 1885, in the third session of the new Society, while he was still an undergraduate at Glasgow University. He was only seventeen years old on joining. Examples of papers he read at meeting of the Society are Elementary Proof of the Collinearity of the Mid Points of the Diagonals of a Complete Quadrilateral on Friday 12 February 1897; Methods of Solution of the Equations of Elasticity on 10 December 1897; and Notes on Spherical Harmonics on 12 December 1913. He was honoured by the Society when elected president for session 1925-26. He was elected to the Royal Society of Edinburgh on 7 March 1921, his proposers being George Alexander Gibson, Sir Edmund T Whittaker, Cargill Gilston Knott, James Gordon Gray. An obituary, written by Ian N Sneddon, appears in the Royal Society of Edinburgh Year Book 1962, pages 33-34. "If a simplex is inscribed in Q in such a way that five of the six bounding hyperplanes touch Q, then the sixth hyperplane likewise touches Q." "If a triangle is inscribed in a circle and circumscribed about an ellipse, then the squared product of the radius of the circle and the minor axis of the ellipse is equal to the product of the powers of the two foci with respect to the circle." He deduces this from the classical invariant relation, thus providing a new proof for the double six theorem itself. This paper contains a new derivation of the coefficients in the expansion into a series of Legendre polynomials of the product of two Legendre polynomials. The author's ingenious proof is based on the repeated application of Laplace's operator to homogeneous harmonic polynomials.